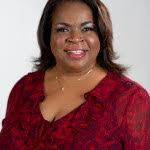 Nisha Jackson, The CEO of Financially Brilliant Women’s Institute. She is the “Wealth Breakthrough Catalyst™", speaker and bestselling author. Nisha helps women entrepreneurs create financial freedom by maximizing revenue in their business, as well as effectively handling personal and business finances. TheBOSSNetwork: What were some obstacles that you faced in the beginning process of your business or career? Nisha Jackson: In comparison to the way my business is run today, I would definitely say, I was guilty of working harder not smarter. I thought that I had to have everything a business should have before, I started attracting clients. I was fortunate in that I hired a business coach early on, who impressed upon me that I needed a business plan, computer and telephone. She convinced me that marketing and attracting clients were keys to my creating a successful business. As well, I created systems in my business because time is finite and I soon found that systems were the key to working less and making more. NJ: I was in the foster care system most of my adolescent years. At that time, you had to transition out at 18. Therefore, I found myself having to participate in a crash course in money management, living on my own and finding employment. Of which, I’ve done so successfully. So, when we had several recessions years back and my clients came for money advice because they had lost their jobs. I felt it was time to be of service to them and help them be self sufficient through combining entrepreneurship and effectively handling money. NJ: I create systems in my business so I can efficiently handle the business task as a CEO, that are required of me and I’ve become a master of not thinking I have to handle everything. I also, schedule everything in my personal and professional life; this includes self care time for me. BN:. Who were some influential people or mentors that helped or encouraged you along the way? NJ: I must have “structure”, “support” and a financial plan. NJ: A “BOSS” is a person who unapologetically and efficiently runs their empire in a way that is in the best interest of the organization and those in which they serve. LaKisha Hillard, M.Ed is a lover of life. Although by day she is a Professor. She has toured as an Actor with several national stage plays, honed the title of a Television Host for GNTV network in Detroit, she is a Youth Mentor and more recently a new Author of her book titled “The Flyy Baby Mama”. LaKisha’s passion for life and quest for personal success has propelled her to great new heights. While some may say she’s done it all, for her It wasn’t until she embraced her own obstacles that she encountered what her life’s purpose truly is. Her life-changing event of becoming an unwed mom, did it for her - She was destined to help another young woman overcome. 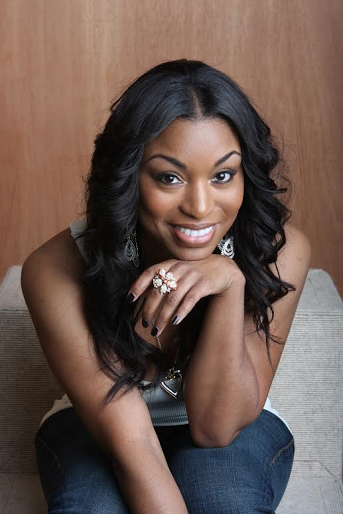 With her expanded networks in Education, Entertainment, and Business, LaKisha has decided to “tap in” relentlessly - to motivate and inspire young women to rise above the stereo-types. LH: Well, what inspired my career as an Educator was inspired by – was my experience in working as a case manager for a Chicago social service agency – and while doing so, I noticed that so many of my youth cases regardless of race/gender; they all had one thing in common – the lack of support and education. As for being an Author: what Influenced me was my own story and the obstacles that lie within it; once I overcame my struggles and fears, I vowed to tell my story with the hopes of helping another single unwed mother to overcome any stigmas or fears as well. LH: Ha! It’s a forever process, however I’ve learned to take a moment amidst everything that is going on in my life – and do a self-check list – to make sure I’m still on target for my goals. LH: I must have God first and foremost. I must pray several times a day. I must have peace, so that I can think clearly and make the best of the tough decisions that I am faced with daily. LH: A BOSS to me, is a woman who has experienced obstacles in life that prepare her to figure out what her X factor is; and now she has learned who she is; she then learns how to tap into that “stuff” which makes her – uniquely her; and then use it for a purpose bigger than herself. She is the kind of woman that makes young girls step their game up.